It’s not often we move around the Okanagan on wheels, but sometimes it can be fun! Valhalla Helicopters has a new mode of transport. 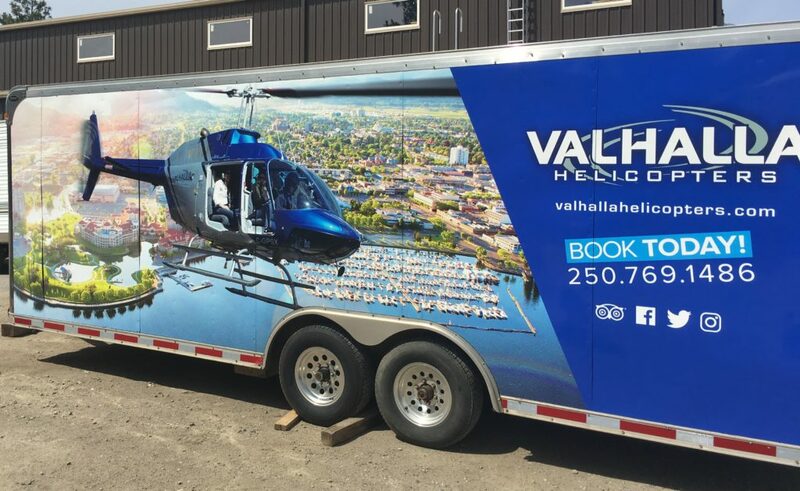 Be on the lookout for our sparkling new events trailer, wrapped in phenomenal images of Kelowna taken from on high. See if you can spot us around the valley–we’ll be making appearances throughout the year. You’ll find fun swag like Valhalla shirts, hats and water bottles (flying is thirsty work! ), and information about Valhalla’s tours and offerings. There will definitely be some pretty amazing members of our team in there (yes, there are windows! ), selling joyride tickets at local events. Joyrides range from $60 – $75 per person for a ten-minute flight. Help celebrate our unique Okanagan communities with a birds-eye view. Because perspective. 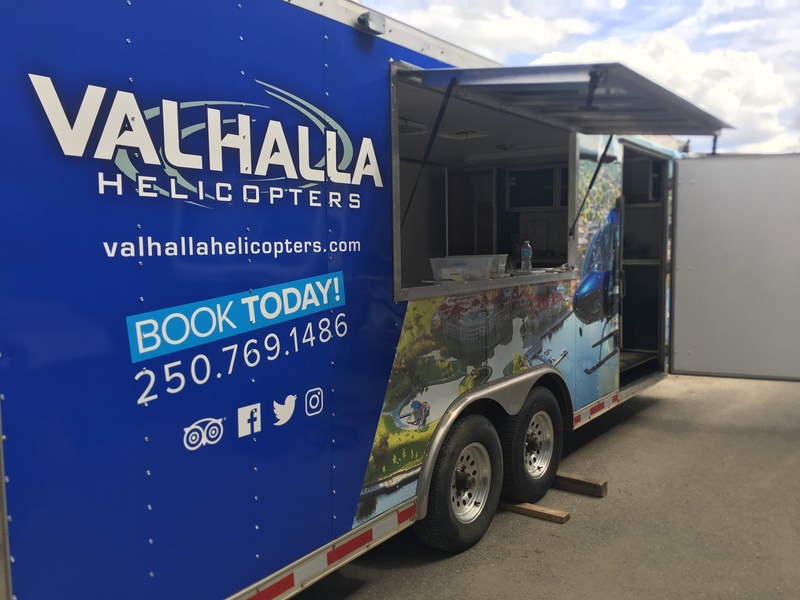 The Valhalla trailer has only just made its debut, but you’ll have a chance to visit with us at festivals and events around the valley all year long, including Westside Daze, Cherryville Days, Lumby Days, Rockin’ River, and more. Stop by and see us as we roam. We can’t wait to meet you! Can’t make it to these events? Don’t worry! You’re always welcome at our hangar, where you can choose from a variety of heli-tour options. Contact us for more info.